The Mayans worshiped a broad array of deities. The exact order of their importance is not exactly clear. However, it is believed that the ancient Mayans called their supreme god Hunab Ku. Hunab Ku was the creator of the universe. He was so sacred that he took no part in everyday human affairs. Next in importance was Itzamna. Itzamna was believed to have been the son of Hunab Ku. He was the god of books and writing, and the patron of science and learning. Itzamna is commonly portrayed as a dragon-like monster. He was followed in importance by his wife Ix Chebal Yaz, a goddess associated with childbearing, the arts, and medicine. Other gods included Ah Puch, the lord of death, Ek Chuah the guardian of merchants, and Chac who was a long-nosed creature with fangs who was responsible for lightning, thunder, and storms. The Mayans believed that the earth had been created then destroyed by calamities over and over. They also believed that the world was conceived as a flat square surface that was suspended between thirteen successive heavens and nine underworlds. All of them were presided over by the gods. In addition, each of the gods or deities was associated with a different color. At the center of the earth the Mayans believed there existed a huge ceiba tree. Entrance into the clergy was hereditary. Priests did not practice celibacy. The top priests were called Ah Kin Mai. They enjoyed a very powerful position in Mayan society. There assistants were called chilams, and it was their responsibility to predict future events and interpret mystical omens. Next, were the nacoms who were in charge of cutting out the hearts of the sacrificial victims. 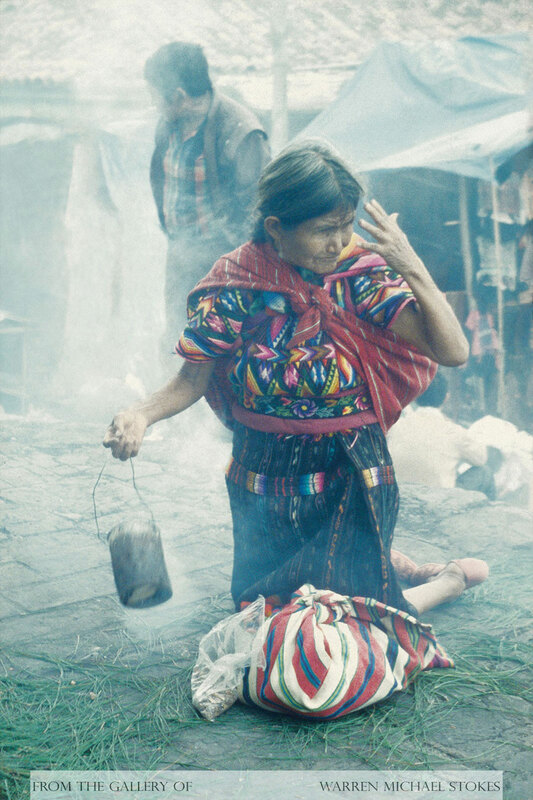 They were followed by the shamans who cured illnesses by using prayers and a wide assortment of magical potions. Sacrifices played a major part in Mayan religious ritualism. The Mayans sacrificed iguanas, turtles, crocodiles, dogs, jaguars, and turkeys in large numbers. However, the supreme sacrifice was that of human beings. Like the Aztecs, the Mayans believed that human blood was essential to sustain the gods. The human victims were slaves, captured enemy soldiers, criminals, orphans, and children of both sexes. Every month in the Mayan eighteen month calendar had its own rituals. At times of planting and harvesting the temples and shrines were full. Almost ever ritual was preceded by fasting. Once underway, the ceremonies included drinking an alcoholic beverage called balche, and bloodletting by piercing the ears, nose, lip, or tongue.